Cleo was on a lunch break when she heard a chilling statistic: According to a recent study released by the Center for Disease Control (CDC), 1 in every 4 girls and 1 in every 6 boys are sexually abused before the age of 18 in the United States. These numbers were like a sucker punch to Cleo’s stomach. How can we live in a world where such horrible things happen? she wondered. She wondered if parents could be more proactive about protecting their children. She wondered if kids would be able to recognize inappropriate behavior coming from adults or other kids. She wondered if the amount of people who want to protect children outnumber those who seek to hurt them. Little did Cleo realize, she could be one of these people—a defender of innocence. She’s not a parent. She’s not a teacher. She doesn’t have a job that involves working with children. In fact, she doesn’t really see children all that often in her day-to-day life. So how can Cleo, someone who barely interacts with children, be a protector and defender against child sexual abuse? Cleo realized she did have connections in her life to children. She didn’t have any children of her own, but she had two nieces and three nephews. She didn’t work directly with children at her job, but three of her coworkers were parents. There were also several families in her neighborhood with small children. She was vaguely acquainted with the parents and saw their kids playing in nearby yards from time to time. Cleo realized each of these children in her life were at some degree of risk. Each of these children, no matter how healthy and happy they appeared, were in need of defenders against child sexual abuse. This discovery gave Cleo an increased sense of responsibility and a greater awareness of her role in the community. Even if it seems that the issue of child sexual abuse won’t ever affect you personally, it affects the society you inhabit and is likely affecting someone you know. Child sexual abuse can have long-lasting effects on survivors as they age into adulthood. These adverse impacts might not just affect the survivor but those around them, be it their children, their family members, their coworkers, their partners, or even their relationship with you. Without proper help and healing, trauma can continue into the next generation. Perpetrators continue to thrive on society’s tendency to turn a blind eye. Notions of respect, consent, and boundaries are often misunderstood or not properly addressed. Legal systems may fail those who were targeted, by refusing to listen or not taking proper action. Ultimately, child sexual abuse doesn’t just affect children you’ll never know or never meet. It affects the health and stability of our society as whole. However, you have a chance to make a difference. Like Cleo, your sphere of influence may be larger than you think. You might not have any children in your life, but you still have the power to protect those who are most vulnerable. Maybe you’re a college student or a retiree. Maybe you’re an aunt, uncle, cousin, or sibling. Or maybe you’re a neighbor, teacher, coach, volunteer, community leader, or churchgoer. No matter your circumstance or stage of life, one thing remains the same: your ability to make a difference. Here are five ways you can help defend innocence and prevent child sexual abuse. 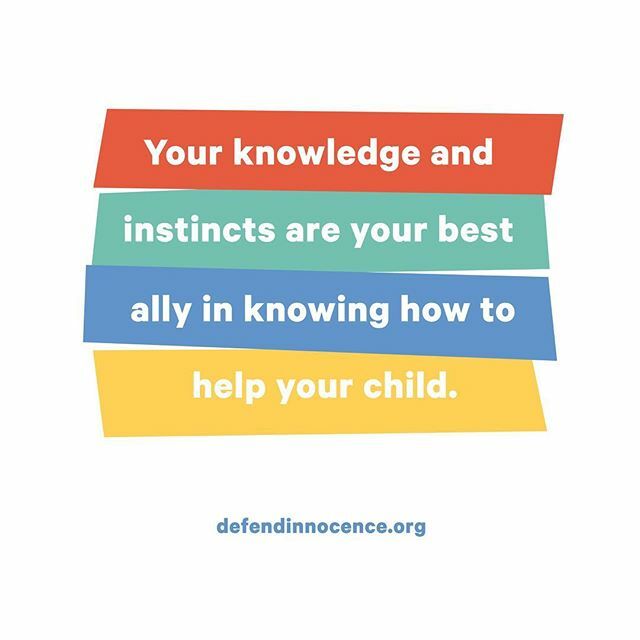 The more you know, the greater influence you’ll have on raising awareness, preventing or hindering perpetration, supporting at-risk children, encouraging healing, posing improvements in the legal system, and protecting survivors from revictimization. You can take the initiative by educating yourself on topics such as warning signs, grooming patterns, and likely places a perpetrator will make a move. This is not to increase your paranoia or distrust, but to hone your intuition. By being more informed, you’ll know what to look out for, when a child might be in need, and what you can do to help. We have many educational blog posts and resources that provide a great start to self-education. To learn more about the long-term effects of childhood trauma, you can check out our sister organization, The Younique Foundation, or this informational site from the CDC. Being well-informed will help you become more aware of what’s going on around you. You can be vigilant when attending family gatherings, local celebrations, sporting events, and other public activities that involve children. This doesn’t mean you are continually looking to accuse others of suspicious behavior. But if any red flags that you’ve learned about occur in plain sight, you may be the one to take notice. If you do see something, act. Don’t look the other way. This may be easier said than done. Sometimes it’s more comfortable to stay silent, even if we witness something terrible, and assume that someone else will take the necessary action. This assumption, known as the bystander effect, leads to no one taking action, no matter how dire the need. It’s crucial to rise above this mentality; be an instigator, not a bystander. If you feel it’s necessary, take the parents aside or seek out the proper local authorities to voice your concern. Be willing to openly talk about child sexual abuse as an important issue, rather than treating it as taboo. Once you feel comfortable in your knowledge on the subject, you can also teach groups in your community about topics such as healthy sexuality, consent, and abuse prevention. It can be scary to initiate a conversation about such a sensitive subject, especially with people you don’t know very well. But when others see how comfortable you are about starting a dialogue, they might follow suit and open up as well. They may have important information or experiences they need to share. Even a few dollars can go a long way. There are more ways to donate than clicking a button on our site. Perhaps on your birthday and other gift-giving holidays, rather than receiving gifts, you request people to send donations in your honor. If this option interests you, visit here to learn more. Or maybe you’d rather purchase merchandise, or hold a fundraiser in your community, such as a 5k or a bake sale. You could also offer something even more precious than your money: your time. Become a volunteer in your community or online. A variety of opportunities to serve are available, so you can find one tailor-made for your personality type and experience. You can participate in campaigns, spread awareness through social media, teach classes in your community, and host events. These options and more can be found here. 5. Be a Positive Example. Did you have at least one teacher who cared about you? Did you have good neighbors? Was there an adult (not a parent/caregiver) who could provide you with support or advice? According to the findings, children with healthy attachments in their community—including positive adult influences who weren’t their parents—have a higher potential to develop resilience in the face of adversity. As an adult, you can be that positive influence for a child. 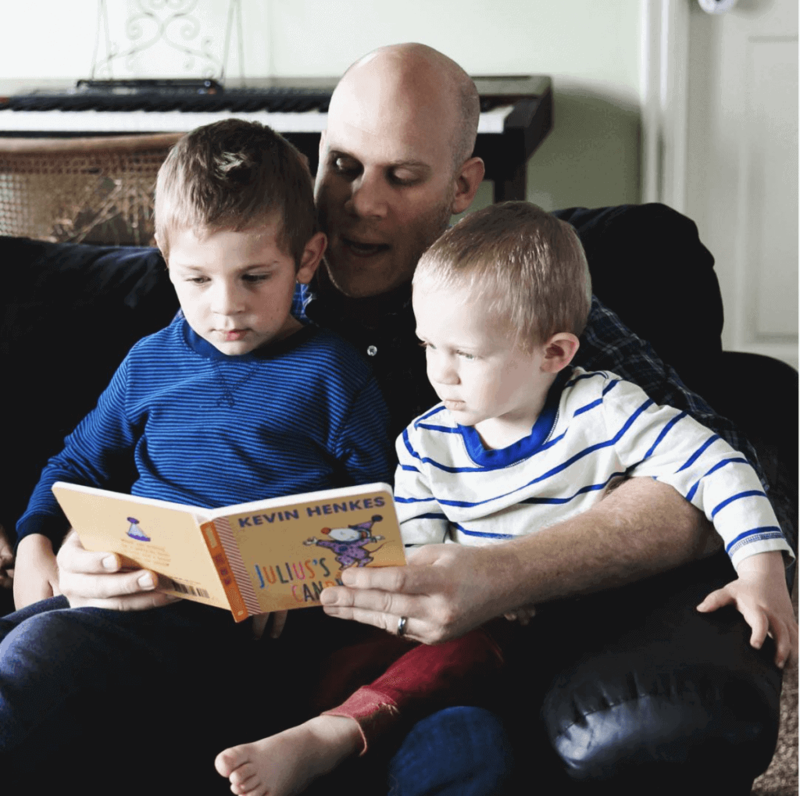 If you currently do have any meaningful relationships with children, encourage open communication with them. Let them know they can confide in you as a trustworthy adult and that you will listen without judgment. This example of openness and respect can extend to families and caregivers as well. Through your actions, emphasize the importance of awareness and prevention. Ensure the spaces you attend or create are safe. Establish and respect appropriate boundaries, not just toward children, but adults as well. If you discover that a child in your life has been abused, offer support to the child and their family however you can. No matter your circumstance or stage in life, you can be a strong ally in protecting children from child sexual abuse and empowering families to learn about ways to prevent it. Through your awareness, vigilance, and willingness to speak out about child sexual abuse, the world becomes that much safer for the children around you. You might think you’re only one person, but sometimes the greatest difference made in a child’s life is through one individual. Never underestimate the impact you have on another person. Narayan, A. J., Rivera, L. M., Bernstein, R. E., Harris, W. W., & Lieberman, A. F. (2018). Positive childhood experiences predict less psychopathology and stress in pregnant women with childhood adversity: A pilot study of the benevolent childhood experiences (BCEs) scale. Child abuse & neglect, 78, 19–30.